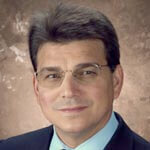 There is one doctor that San Antonio plastic surgery patients trust the most: Dr. Jaime Garza. This Board-Certified, award winning surgeon provides top-of-the-line breast augmentation procedures as well as many other options. You will feel confident that your aesthetic goals will be reached with Dr. Garza, as he has an eye for symmetry and balance. His wealth of knowledge—thanks to over 12 years in the field—has gained him a reputation in San Antonio, and throughout Texas, as a dedicated and reliable breast enhancement surgeon. Even with numerous awards and various media appearances under his belt, Dr. Garza remains a modest and personable surgeon. He will provide you with all the information you need in your one-on-one consultation, making sure you feel comfortable with the steps of the breast augmentation procedure. To learn more or to schedule a consultation with Dr. Garza, contact us today. Contact us to arrange a private consultation with Dr. Jaime Garza today. "I hope I am satified and I come out with more confidence after my procedure. I totally trust Dr. Garza with the results that I want since he understood what I wanted done and how much this will affect my freedom and joy. I'm just glad that I am finally doing something about it." "i would like to see some before and after pictures of his work. i would like to discuss the pros and cons of the two procedures and perhaps go into a discussion of how the procedure will be performed. Do you have any digital imaging?? I am going to have other consultations with other doctors as well and see how that goes. i do not live in san antonio and i drove their for my appointment which i thought went well but when i left the office i still had questions that i needed to ask him and i forgot to ask him. if i decide to go back i will have these questions in writing. one of the questions i wanted to ask him was for how long does he guarantee his work? What if after the recovery time my results don't turn out to be what Dr. or i expected? What will he do in that situation?" "The doctor I went to visit was not able to do the procedure I required and recommended another surgeon. I will keep looking for the surgeon that can help me. The one recommended I've seen before and was unable to help me." "The office, the staff and Dr. Garza were all as impressive as they sounded on the website. Dr. Garza and his staff were professional and kind and gave me the confidence to trust them with the procedures." "Dr. Garza was great. Unfortunately, the estimate was more than we could afford because of some complications in the way my skin is that meant the estimate was the higher end of the usual range of cost for this procedure and I had been needing it to be in the lower end. However, I did feel that what he explained was true and that the price for the work seemed fair. It was just more than I could do right now. But if I could have, I would have trusted him with the procedure and I'd definitely recommend him to others. He seemed completely capable and very approachable." "Dr. Garza was fantastic. I couldn't ask for a better surgeon. I knew the basic price range for rhinoplasty and was hoping mine would be in the bottom range. However, because of the way I'm built, the price ended up being on the very top end of what I had read. I understand completely why the price is higher, based on what he'd have to do. At this time, I just don't have that money, but I'm hoping to save up and at that time, I will contact Dr. Garza again. I would absolutely recommend him to anyone." "The doctor and staff have provided excellent service to date. They are a wonderful team of professionals. My only concern is scarring as a result of an MRSA infection or perhaps an allergic reaction after surgery. I have undergone one laser treatment and remain hopeful for improvement as this process takes time. The rhinoplasty procedure was well tolerated and the shape and form of my nose is excellent and met my goals and even exceeded my expectations. I would/am considering additional plastic surgery and would definitely consult with this physician. I believe that the deciding factor for me will be the final outcome of the skin tissue and scarring on my nose, in a few months." "I am looking forward and excited about having the procedure done. I have full confidence in Dr. Garza." "I would like to discuss with Dr. if there is something I could possibly cut out of the estimate. I want both procedures we discussed, but can't afford both. I like Dr. Garza and trust his work. He did a great job on my son (Klint Krueger) in 2006, that is why I would prefer him doing my surgery. Although I am remarried, my husband and I keep our finances separate, so it's like I'm a single parent of 2 teenage boys. Finances are comfortable, but I have a senior in high school going to college next year and feel a little guilty about spending money on plastic surgery vs. college. I discussed my visit yesterday with my mother. She said if I have Lipo, she will do the proceedure as well. So you'll have another patient. I noticed on my estimate from 2006 (under my sons name) I was receiving a 20% discount. Could I still have that discount? Every little penny saved gets me closer to scheduling. Thank you. Danielle Stanush"
"Was not aware that there was a parking fee for his office. Everything else is good. Really good doctor. Very professional and polite. Feel very comfortable with him treating me. High credentials and I feel he will do a very good job." "Dr. Jaime Garza is great!" "The Dr. felt I needed two procedures, one of lyposuction and another of removing the gland tissue. I feel the procedure of just removing some of the gland tissue would be corrective enough. After reading several forums and having recieved Dr. referals with much lower prices, about half. Prices that dont charge hospital costs, because the procedure is within their own practice I would rather save $2000 and have both procedures done. All other Dr.s referred are just as qualified. My budget for this procedure is between $3500-$4000." "I was provided with excellent services with an extremely professional staff. The Med/Surg team made me feel very comfortable. I will definitely use them in the future if needed. " "Knowledge and experience helped me make my decision. Friendly and helpful atmosphere." "I was very happy with the care and professionalism that I experienced with Dr. Jaime Garza and his staff. Every little detail was spelled out clearly and concisely. Plus, the procedure and its aftermath really wasn't that bad! I've heard some horror stories about rhinoplasties and I was very relieved that I did not experience nearly as much pain and discomfort that I imagined I would. And most importantly, I am satisfied with the results. Thank you." "Very pleased with every aspect of the process. " "I only had the service not quite three weeks ago so as I stated about, I don't know what the final result will be, but so far on my nose especially, I like the result." "my experience with my consultant was great I think she was knowledgeable about the product the price though, was very expensive but so far i think it is worth it." "I found Dr. Garza and all of his staff to be very pleasant and helpful. I would definitely refer him to any one of my friends." "If I have it done it will be with Dr. Garza"
"I am thrilled about my decision. Dr. Garza was fantastic... thorough and very knowledgeable! I will be having my procedure within the week... I can't wait!" "Everyone was great and the staff was wonderful, I am very excited to have the procedure with Dr. Garza. I didn't see before and after pictures, but I didn't ask for them and I will see them when I go back in. "